GEOFF LAVERY began his professional musical career as teacher, clarinettist and conductor in Ipswich, Suffolk. From there, he and his family moved to Lancashire and then to Bedford for twenty years. Whilst there, he conducted many Orchestral and Choral performances and very many musicals. Upon his returned to Suffolk six years ago, he has found himself increasingly busy as a conductor, adjudicator, organist and accompanist. Geoff has conducted Beccles Choral Society since 2012, giving three concerts a year. He directed Suffolk Strings for three years, and also directed several performances for Music in Felixstowe for many years, including Britten’s “Noye’s Fludde” in the composer’s centenary year, many “Come & Sing” performances of a variety of choral works, and Children’s Workshops. 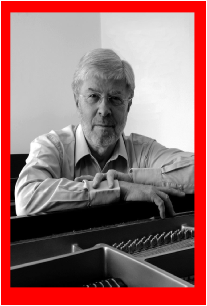 He is part of a Duo, playing piano with clarinettist Chris Allen, and they have given recitals throughout East Anglia. Recently the Duo has expanded to a Trio, with soprano Sarah Gallop, giving recitals in Ipswich, Wymondham Abbey and Framlingham and they have been invited to perform in the Minster at Great Yarmouth and in Aldeburgh. 2017 was a particularly busy year, with many concerts in his diary; not least in May when his two choirs, together with Lambeth Orchestra, performed Elgar’s “Dream of Gerontius” at Snape Maltings.He conducted “Messiah” in Framlingham at Christmas. 2018 is proving to be just as busy, with a performance of Beethoven’s “Missa Solemnis” in Beccles in May, several Duo and Trio recitals and future choral concerts including Bach’s, “Christmas Oratorio” in November, Rossini’s “Petite Messe Solennelle” the following month, and a post-Christmas concert with Martlesham Brass and the Gippeswyk Singers in the new year.In May 2019, Geoff returns to Snape to perform Verdi’s “Requiem” with his three choirs and Lambeth Orchestra. Beccles in May 2018, “Christmas Oratorio” in December 2018 and a return to Snape in May 2019 to perform Verdi’s “Requiem” with his three choirs and Lambeth Orchestra. He is working with Music in Felixstowe in the near future with a “Come and Sing Mozart Requiem” on 15th April and a newly composed children’s opera at the beginning of July.